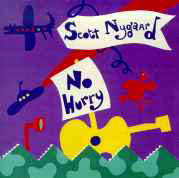 Scott Nygaard is one of the most eclectically satisfying acoustic guitar players around these days. As a sideman with Tim O’Brien and Laurie Lewis, he’s dazzled fans around the world with his blend of melodic inventiveness, harmonic sophistication, and technical virtuosity. 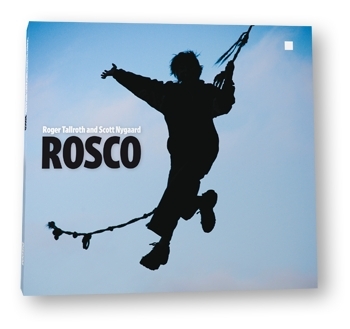 On his second Rounder release, Scott blends all of his influences — bluegrass, old-time, Cajun, Irish, bebop, and even Brazilian choro — into a tasty blend that consistently delights the listener as it challenges expectations. Dreamer’s Waltz brings together many of the great musicians that Nygaard has played with throughout his career, from O’Boys bandmates Tim O’Brien (fiddle) and Mark Schatz (bass), to West Coast all-stars like fiddlers Darol Anger and Ruthie Dornfeld, mandolinists Mike Marshall and John Reischman, banjoist Tony Furtado, old-time virtuoso Dirk Powell on banjo, bass, fiddle, and accordion, Todd Phillips on bass, and even the ubiquitous Jerry Douglas on Dobro. 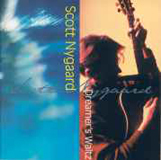 Scott Nygaard has worked in a variety of settings: bluegrass, old-time, Cajun, western swing, acoustic and electric jazz, and more. The selection of tunes on this all-instrumental outing is eclectic but focused. 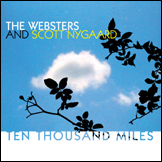 The jazz tunes, Frank Loesser’s “Never Will I Marry” and some Nygaard originals, swing lightly and the traditional tunes “Bury Me Beneath the Willow” and “Red Apple Rag,” smoothly shift gears into a country mode. What do you get when you combine a soul/country singer-songwriter (Chris), a Baroque opera singer (Cassie), a bluegrass guitarist (Scott), a jazz bassist (Cindy), and an old-time fiddle prodigy (Brittany)? Well, we don’t know either, but the results are in your hands (or your CD player). As for what to call it, we can only use the much-maligned term “folk music.” But that’s assuming your definition of folk music includes the music of Louis Armstrong, Bill Monroe, Elvis Costello, Roscoe Holcomb, Ladysmith Black Mambazo, Ola Belle Reed, James Brown, Bill Frisell, Charley Patton, Django Reinhardt, Steve Earle, Billie Holiday, and Tommy Jarrell, as well as the usual suspects Doc Watson, Martin Carthy, Mississippi John Hurt, etc. This outstanding book/CD pack contains 15 classics of American roots music arranged for the acoustic guitarist – complete with background notes for each piece! Thank you for your inspiring music. I picked up No Hurry some years back, and fell in love with it. I was in a blue funk at the time where I couldn’t decide whether to keep trying to play guitar, or just chuck it and take up the tissue and comb, or maybe spoons…I vasilated between inspiration and desperation. A closet musician at best, I decided to keep trying, thanks to your obviously heartfelt approach to music. Strong and True in particular gave me hope. Not so much that I could ever pull it off, but that perhaps that I too could convert those lingering emotions into a melody. I returned to the stairwell where the acoustics are good, took another run at it, and have been at it ever since. I hope it’s as much for you as it appears to be. Thanks Robert. Glad that was helpful. I use mediums on the D-28 and lights on the Schoenberg 00. The 00 is so lightly built you can’t really use mediums, and they don’t really help the tone on that guitar. Lights work just fine. But I use mediums on all my other dreadnoughts. When it came time to start to get serious about it, of course I sought out your wonderful Bluegrass Lead Guitar DVD. In studying this material, I couldn’t help but notice that while some of the techniques seem rudimentary, all of them of course applicable to an infinite variety of situations. Translation: your patient, relaxed, and detailed instruction set off lightbulb after lightbulb in my head (and fingers) upon even my first viewing. What a rush! I feel like a kid again, learning to Play again. Anyway, I will pick up other of your videos and instruction books. Can’t wait to find a band to play with! I do have a question. I was wondering what gauge strings you use on your acoustics? I noticed that they seem quite flexible, yet they’re also quite resonant. Do you use the same gauges on the parlor and the dreadnought? Hope to catch one of your gigs soon. Thanks again! Hey… I would really like to learn the arrangement of Dreamer’s Waltz but i cannot find the music or tab anywhere? Is there a copy on the net at all? Dreamer’s Waltz was published in a couple of books, which are both unfortunately out of print. My next project, after getting a couple of new CDs out, will be to produce a book of all of my original tunes, which will include tab to Dreamer’s Waltz. What guitar are you playing on your instructional dvd guitar on the song, “Little Billy Wilson”? Glad you like those recordings. I used my 1956 Martin D-28 on both the “No Hurry” and “Dreamer’s Waltz” CDs.